Donato Bramante, the architect who introduced High Renaissance architecture style, was born in 1444 in Italy. The child of a family of farmers, he spent much of his childhood in reading, writing and practicing his painting skills. Bramante’s life before 1477, that makes first thirty years of his life, is not much known yet but it is assumed that he worked as an assistant to Piero della Francesca in Urbino. He not only polished his skills by learning from different artists in Urbino but also from observing the works of other famous and notable artists during his travels. In 1477, making the best use of his skills, Bramante started working as a painter of illusionistic murals of architecture in Bergamo. It is believed that Donato Bramante may have worked as a planner, designer, and painter of architectural perspectives and many other artists and painters used his works and techniques in their own paintings and methods of construction but none of his those productions seem to have survived thus leaving historians with no traces of them. In 1477 he shifted from Urbino to the northern Italian province of Lombardy because of some unknown reasons. Later on he visited various cities including Milan and studied various architectural forms and pieces and it was during these trips that he got introduced to Renaissance architecture and thought of acquiring this peculiar style in his own work. In this way Bramante became the first architect to bring about High Renaissance architecture in Rome and replaced the typical classical style of the 15th century with grave ornamentation and monumental approach. These manners, quite new and progressive for the field of architecture opened up ways for the later lot of architects of that era. Thus, with the passage of time Donato Bramante became the chief architect in Rome during the first decade of 16th century. Looking at the history one can easily figure out that along with architecture, Bramante never gave up painting in his life but it is also a proven fact that many of his works of 16th century couldn’t make it to a longer period of time and thus a lot of his creations seem to have been lost. The only piece of art manifesting this very attribute of Bramante’s personality is a fresco in a complex architectural setting (c. 1490–92) in the Castello Sforzesco in Milan which he made with the help of one of his students of that time. The last few years of his career are said to be spent with restless and passionate devotion towards his work. During this time period he introduced new structures, paintings, wall murals, decorative elements and did interiors of various buildings. It is also said that Bramante did not keep a single signature style throughout his career, but his creations seemed to be influenced by various artists, his teachers and every new study that he made during the time of his practice. Bramante was not only a significant architect and painter but he also had a great fondness for poetry and music as well. He also wrote some scripts regarding his peculiar fields but none of them could be preserved. 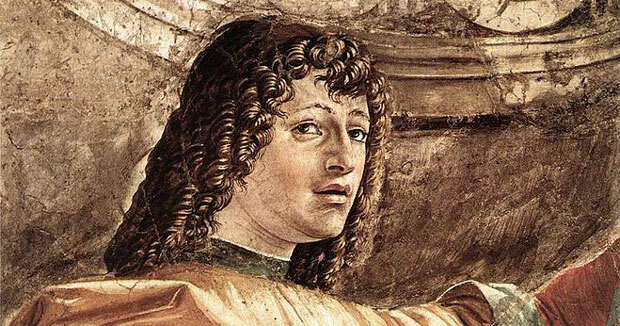 Donato Bramante died on March 11, 1514 at the age of 70 in Rome.